BD 50/70 R Classic Fleet Bp 11610720 https://www.kaercher.com/tn/professional/floor-scrubbers-scrubber-dryers/scrubber-driers/ride-on-scrubber-driers/bd-50-70-r-classic-fleet-bp-11610720.html Easy-to-operate ride-on scrubber drier BD 50/70 R Fleet Classic with an integrated brush head and disc brush, as well as connection to our Kärcher Fleet fleet management system. 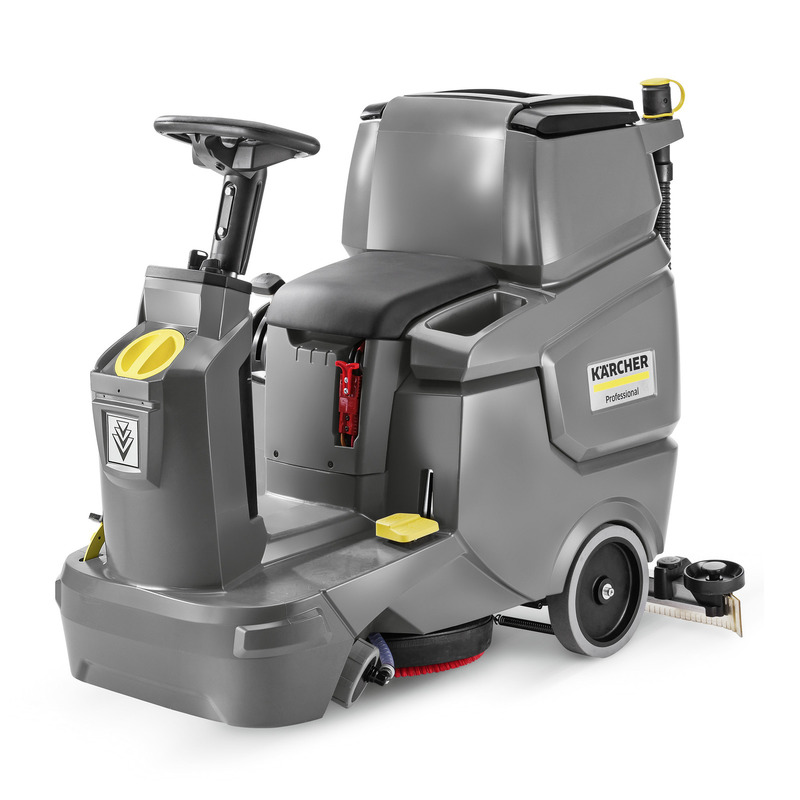 Easy-to-operate ride-on scrubber drier BD 50/70 R Fleet Classic with an integrated brush head and disc brush, as well as connection to our Kärcher Fleet fleet management system. The affordable, battery-operated entry-level model BD 50/70 R Fleet Classic is a compact ride-on scrubber drier which impresses with many useful equipment details and very easy handling. Tried-and-tested disc brush engineering (disc brush is included) ensures outstanding cleaning results, while Kärcher Fleet, our cloud-based fleet management system, keeps you informed at all times of the utilisation and status of your machine. The simple operation with colour-coded control elements and the standard Home Base, which can be equipped with hooks for easy storage of cleaning utensils, make work easier for the operator. Other available options include a bin bag holder and a pre-sweep mop. The batteries and accompanying charger should be chosen separately according to your needs when ordering.